Andrew James Mark born December 27, 1929 to John and Apolonia (Pizarek) Mark. Married Lorelei Ann Storey on November 21, 1953. He was a farmer all his life in Springfield Township and lived on the same property he was born on, built his own home with his family's help and lived it until his death on December 3, 2018 at Loyola Medical Center, Maywood Illinois. 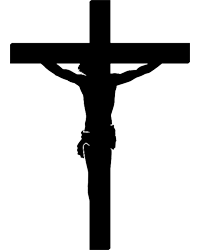 Mass of Christian Burial will be held at 12:00 pm, Friday, December 14, 2018 at Queen of All Saints Catholic Church, 606 S. Woodland Ave., Michigan City, IN with Rev. Kevin Huber officiating. Burial will follow in Greenwood Cemetery. Visitation will be from 4:00 pm - 8:00 pm, Thursday at the Ott/Haverstock Funeral Chapel, 418 Washington St., Michigan City, IN. and from 11:30 am - 12:00 pm Friday at the Queen of All Saints Catholic Church Legacy Center. A wake service will be held at 4:00 pm Thursday in the funeral chapel. Besides being a farmer he was a School bus driver for Michigan City Area Schools where he retired from in 1973 because of health. He was a Director for Farm Bureau Co-op. 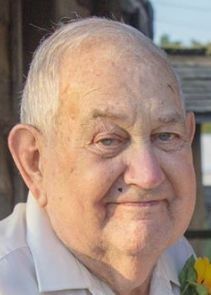 He was a life long member of the LaPorte County Farm Bureau Inc. at the time of his death. He was a lifelong member of Queen of All Saints Church. Andrew or as his friends called him, Andy or Jim was a man with the gift of conversation, a trait that he passed on to his children and grandchildren. He was involved in 4-H as a youngster and was a Springfield township 4-H Leader for 30 years. Andrew and his late wife contributed to the building of Pioneer Land and furnished local lumber from his farm that he and his family cut on their sawmill and used in the log cabin. He was very proud of his herd of cattle that he spent years of hard work breeding to get a very productive 4-way cross that his calves brought him top dollar at auction barns in Northern Indiana. He was a member of the Indiana Beef Cattle Assn. He also bred and raised hogs. He was also very proud of his natural ability to raise 200 bushel an acre of field corn with little or no fertilizer. He is survived by his children: Thomas (Norma) Mark, Sally (Leon) Dipert, Peter (Pamela) Mark, Patrick (Tamera) Mark, all of LaPorte IN, Katherine (Steve) Richter of Valparaiso IN, and Leanne (Paul) Fuhrmann of Wheelersburg, OH. Survived by grand-children: Michelle (Troy) Williams, Juli Ann Pritchard, Lisa (Tim)Nelson, Jonathan (Kaleena) Mark, Matthew (Dodie) Mark, Nicole (Rob)Ward, Leah (Brandon) Stacy, Brittney Rigterink, Kaela (Chris) Cochran, Aryn (Nate) Swords, Rich Mahl, Brandon (Jessica) Mahl, Daniel (Ashley) Mark, Mindy (Bobby) Bibb; Lora Lee, Abigail, Melanie, Andrew, and Jeremy Fuhrmann. Survived by great-grandchildren Devin, Hannah, Isabella and Issac Nelson; Landon Mahl; Emma, Madelynn, Mackenzie and Ava Mark; Deia, Mia, and James Mark; Parker Machowiak; Benjamin Stacy; Madeline Mahl; Wallace Cochran; Eli and Evelyn Ward. And his sister Elizabeth (Elmer) Konkey. Preceded in death by parents, wife, and brothers Otto, Norbert, and Richard Mark, and sisters Laura (Warren) Ransom, Sr. Joan Marie Mark C.S.A., Susan (George) Wroblewski, and Dorothy Mark.